APRIL 4: People in the mountains use MRIs and other imaging services, as well as pathology and lab work, at three times the rate of the rest of Colorado, part of why costs are higher. TODAY: Facing much higher costs, many high-country residents wonder whether their hospital bills are justified — or whether the amenities have to be so nice. Editor’s note: This is the fifth installment of a six-part series on health in the mountains. Hospital bills in the High Country are higher than in metro Denver — but that’s inevitable anywhere there is a small population base, say hospital executives. The hospitals have to be big enough for the crush of ski season, when the number of people in the communities triples, and there are crazy numbers of fractures, sprains and concussions. But they can’t hire nurses and doctors for the ski season — or if they could, then they would have to sweeten the deal with salary bumps. “We have extremely low economies of scale” due to having to maintain staffing levels and equipment while having much lower usage per day, Aspen Valley Hospital CEO Dave Ressler said. Whether they have one patient or 10, facilities need to maintain core staffing levels. That means a nurse for the first patient and a second nurse in case a second patient arrives during the shift. 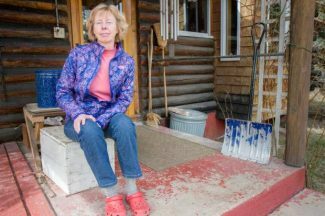 But with insurance premiums in Pitkin, Routt, Summit, Eagle and Garfield counties 50 to 100 percent higher than they are on the Front Range, many High Country residents are wondering whether the hospital bills are justified — or whether the amenities have to be so nice. She says Valley View Medical Center in Glenwood Springs provides very good care — “they’re a class act, I’m not denying them that” — and it has its share of people whose lives were saved and who contribute generously to the hospital. • 8.3 percent, Yampa Valley (Steamboat Springs). • 13.1 percent, Valley View Medical Center, (Glenwood Springs). • 23.3 percent, Aspen Valley Hospital (Aspen). • 27.2 percent, Vail Valley Medical Center (Vail). • 29 percent, St. Anthony Summit Medical Center (Frisco). 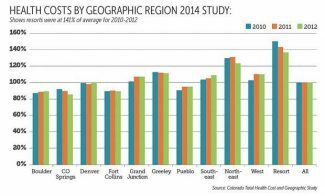 For metro Denver hospitals, the average margin was 15.6 percent; for rural hospitals the average margin was 7.2 percent. Hospital CEOs agree that it is frustrating that insurance premiums here are so high, but they don’t think their hospitals are the main culprit. They note that they’ve been raising their prices by a couple percentage points a year, while overall health care spending has risen about 5 percent annually. But that’s not the whole story. One of the most confounding mysteries of the 21st century is the price of services at an American hospital. Rural hospitals may announce that their “charges” are about the same as hospitals in urban areas. But what patients or insurance companies pay can vary greatly from those charges — and vary greatly from hospital to hospital. In urban areas, insurers can negotiate rates for tens of thousands of people with a single hospital. And if the hospital doesn’t accept a stiff enough reimbursement discount, then the insurer can try with a half dozen more facilities. In Colorado Ski Country, it’s usually one hospital per county — and one or two insurers per county. Hospitals can’t resolve the issue of high health care costs alone, the executives say. 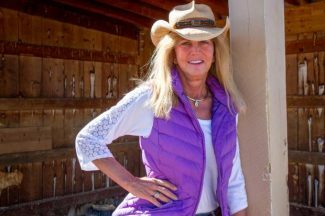 “This is an issue involving all medical providers, insurance companies, drug manufacturers and the general wellness of the people accessing health care,” Vail Valley President and CEO Doris Kirchner (no relation to Lynn Kirchner) said. Hospital executives point to some of the popular aspects of Obamacare as driving up insurance costs, such as requiring that insurers not jack up rates for those with pre-existing conditions. The 20 million newly insured, especially those on the individual market, turned out to be sicker than anticipated, they say, driving the big increases in rates the past two years. 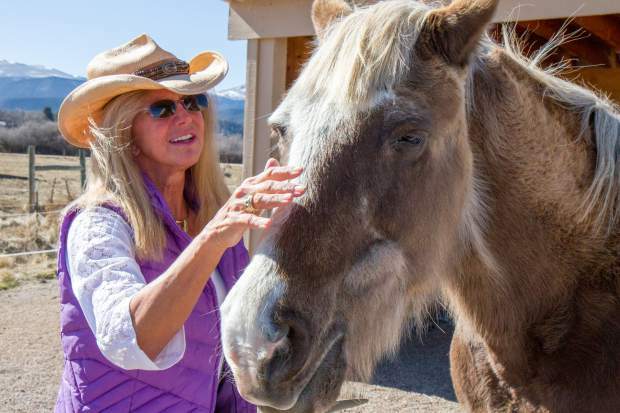 Typically, young people in the system offset the more expensive care for older adults, but in ski country, the young people tend to fracture bones, pull tendons, snap hamstrings and the like in their pursuit of outdoor sports, Vail Valley’s Doris Kirchner said. So the young people here don’t provide that hedge, even if they’re in the system. And if they require expensive hospital care and are uninsured, then they drive up hospital costs for all. If an insurer has only 1,000 clients — or “lives” in health insurance jargon — then it’s far riskier. If one or two of those 1,000 come down with extremely expensive problems, then the risk pool loses money — and insurance premiums skyrocket again the next year. “If you don’t bring us a large number of lives, it is very difficult to offer a good discount, because there are just not enough lives,” Brewer said. The insurer always has the incentive to negotiate as steep a discount as possible, whereas the hospital tries to do the opposite — the thinner the discount, the better. Medicare operates a “hospital compare” website that compares hospitals on patient satisfaction, appropriate use of imaging tests and costs of procedures. In the most recent published survey on patient satisfaction, St. Anthony Summit, Vail Valley, Yampa Valley Medical Center and Aspen Valley all scored above average compared to other hospitals in Colorado and the nation. Valley View in Glenwood Springs was given average scores. On price, most of the rural hospitals didn’t have enough data for a fair comparison, or were deemed to not vary significantly from the average for similar hospitals. The mountain resort hospitals ranked within a point or two of average on the appropriate use of imaging tests such as CT scans and MRIs. The exception was Valley View, which gave MRIs about 58 percent of the time to patients complaining of lower back pain, without first trying physical therapy. The state and national average is about 40 percent. Overuse of MRIs is considered a major driver of health care costs. The hospital patients who get hit with the astronomical bills are generally the uninsured who are asked to pay the notorious “charge master” prices. Those prices are four or five times what insurance companies pay, after they’ve negotiated steep discounts with the hospitals. 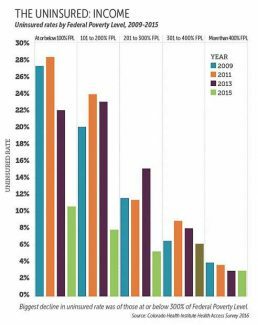 In areas where there is one hospital and few insurers, the discounts aren’t as steep — so what the insurers pay is higher, and what they charge their customers for premiums is higher. The “charge master” prices are about eight times higher than what Medicare and Medicaid pays. Hospital officials say those reimbursements don’t cover costs, variously complaining that they lose anywhere from 50 cents on the dollar to 20 cents on the dollar for each senior (Medicare) or very low-income (Medicaid) patient. For treating simple pneumonia, hospitals charge $53,000 to the uninsured, but Medicare reimburses $9,400; for chest pain, the “charge master” price is $25,600, the Medicare price $3,600. In between those extremes is the price paid by those who are insured. Simple pneumonia might be $15,100 instead of $53,000. But it can still be costly for insured residents of the resort regions. A bronze plan costing some $400 a month might come with a $6,000 yearly deductible, so that has to be paid before the insurer starts kicking in. Obamacare’s expansion of Medicaid — providing the care for those whose household income is up to 139 percent of the federal poverty level — has helped lower the pot of uncompensated care at both rural and urban hospitals. But Medicaid reimbursements only cover about three-fourths of the costs of treatment. Executives of the nonprofit hospitals in Colorado’s mountain resort communities note that every dollar they collect in excess of expenses is pumped back into the operation. But that’s the rub. Margins can look tiny or huge, trumpeting thrift or largesse, depending on who is looking at the numbers. Allan Baumgarten, who contracts with several states to examine hospital expenses and revenues, noted that nonprofit hospitals don’t pay dividends to shareholders or offer stock options to executives. But saying that every dollar goes back into the operation is a very broad statement, he said. “It can include providing rich compensation packages to executives, it can be used to acquire physician practices or build new clinics, it can be used to improve facilities for certain specialties like oncology and orthopedic surgery and provide additional compensation to the doctors that practice at the hospital. Hospitals counter that they need those big margins year after year to be able to expand — and seemingly they are always expanding. With expansion plans in the works, the only way to earn a low interest rate on bonds is to show investors that there is a good margin. And the way rating services such as Moody’s measure that is to require hospitals to have cash on hand equal to a certain amount of days of operational costs.